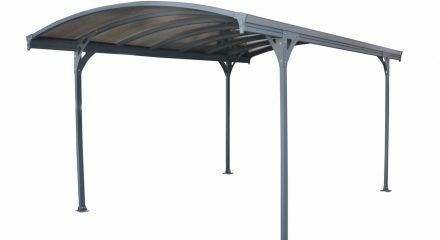 The upscale style of the Vitoria Carport makes it a versatile all-around structure. Protect your car from the elements or create an enjoyable sitting area anywhere. Over 9 feet of entry width and 7 ½ feet of overhead clearance give you plenty of room to park your vehicle. The re-assembly option allows you to re-locate your Vitoria.